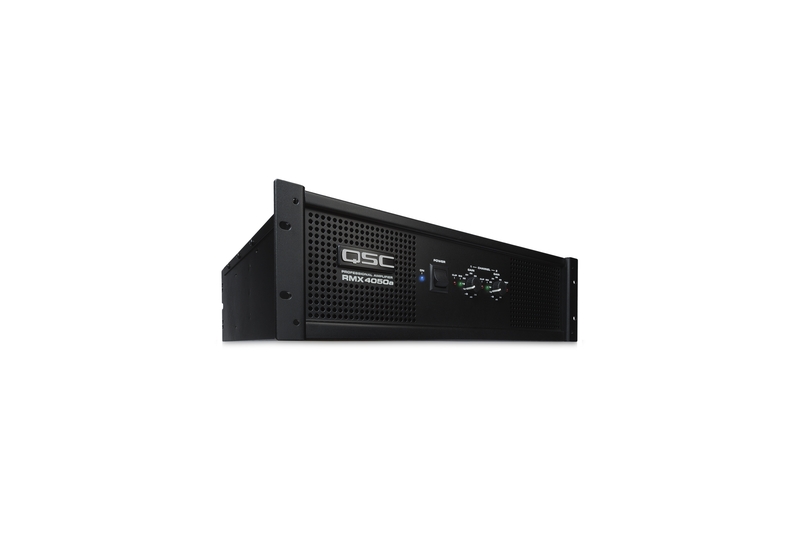 The QSC RMX 4050HD 2-Channel Power Amplifier is perfectly suited for a wide range of applications, this heavy-duty model is designed to work as hard into 2-ohm loads as most competing amps will into 4 ohms. With a 3-tier, Class H design, it is extremely efficient. 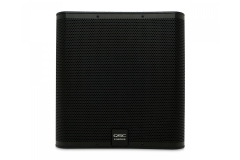 Delivers 1,600W/ch. @ 2 ohms, 1,300W @ 4 ohms, 800W @ 8 ohms, and 2,600W @ 8 ohms bridged. 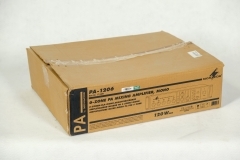 The RMX 4050HD features a dual mono high-current power supply, high-current toroidal transformers, independent user-defeatable clip limiters, selectable low-frequency filters (30Hz or 50Hz), balanced 1/4" TRS, XLR, and barrier strip inputs, binding post and Neutrik Speakon outputs, front mounted gain control, signal and clip LEDs. 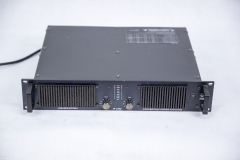 3RU rackmount chassis only 16" deep. 3-year warranty.